Take off on an adventure and discover Canada. 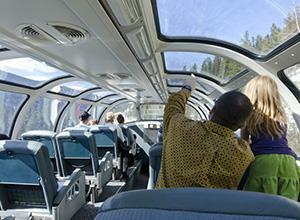 We're delighted to announce the return of the VIA Rail Canrailpass! 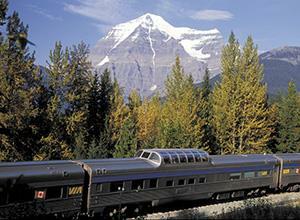 Put quite simply, the Canrailpass gives you the flexibility to travel anytime, at a price you’ll love. So you can afford to be a little impulsive. The Canrailpass – System is a convenient and flexible pass that allows you to choose between 7, 10 or unlimited one-way trips to a destination of your choice. You have the choice of travelling across Canada for 60 consecutive days with the Canrailpass – System Pass or between Quebec and Ontario for 21 consecutive days with the Canrailpass – Corridor Pass. System Unlimited: Travel anywhere on the VIA network as often as you want for 60 days (seats must be booked in Escape or Economy fare). *Seats can be booked in Economy Plus fare as of 12:01 a.m. PT or 3:01 a.m. ET the day before departure. Prior to this time, you'll only be able to book in Economy or Escape fare.